EARRINGS - SARAH COVENTRY. "SHANGRI-LA" FROM 1972. 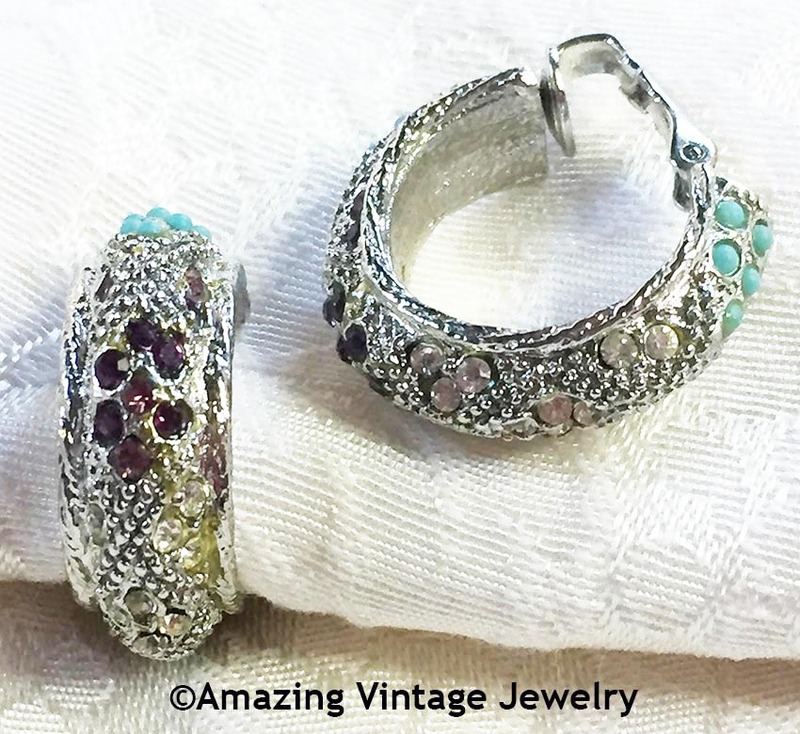 INCREDIBLE WIDE SILVERTONE HOOPS, ENCRUSTED WITH CLEAR AND PURPLE RHINESTONES AND TURQUOISE-COLORED BEADS. CLIP. 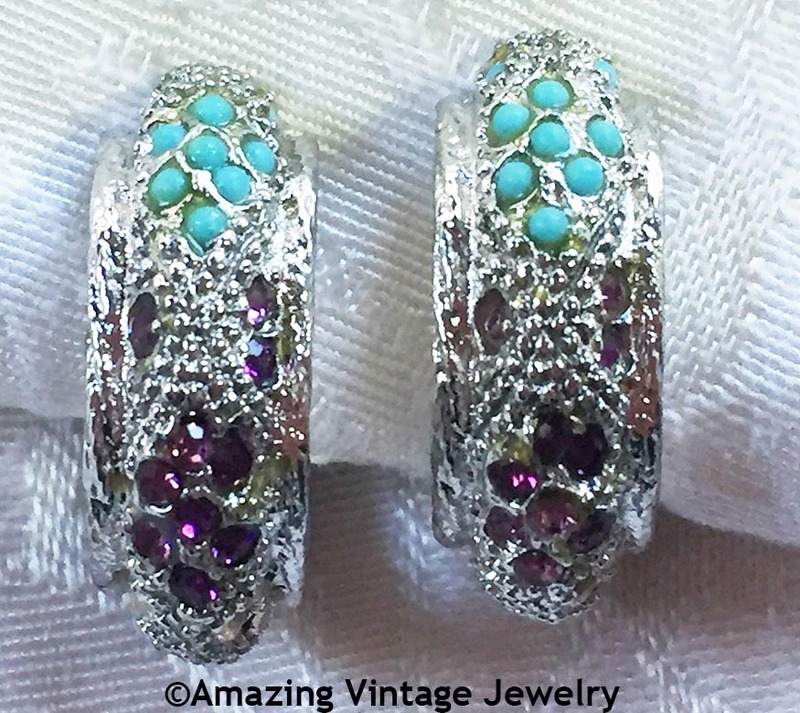 VERY GOOD CONDITION, ALTHOUGH SOME OF THE CLEAR RHINESTONES ARE VERY YELLOWED AND THERE IS SOME GLUE RESIDUE PRESENT. PRICED ACCORDINGLY.